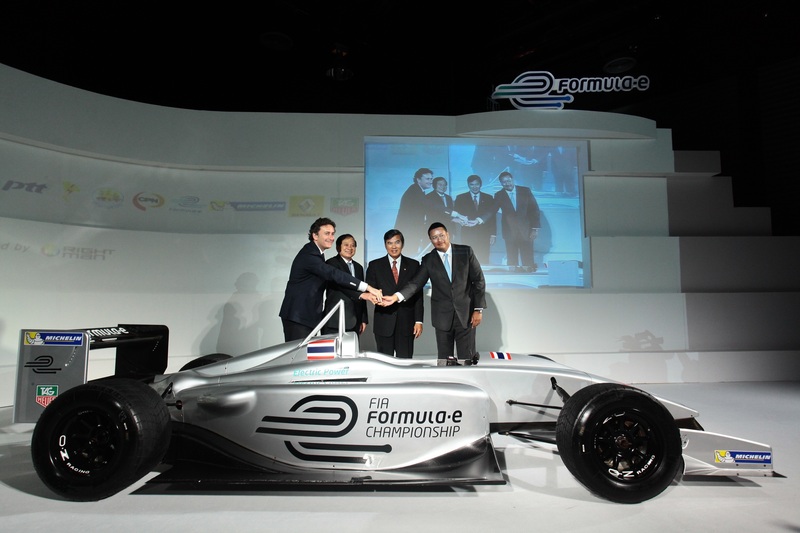 BANGKOK (May 16, 2013) – Thailand’s capital Bangkok today joined the list of candidate cities bidding to host the new FIA Formula E Championship. The announcement came during a special event held to demonstrate the innovation of racing technology in Thailand, attended by the Pol.Maj.Gen Lattasanya Piansomparn, Advisor to the Minister of Energy, Mr. Chiruit Israngkun Na Ayuthaya, Director-Domestic MICE, Thailand Convention & Exhibition Bureau, and Alejandro Agag, CEO of Championship promoter Formula E Holdings (FEH). More than 200 guests attended the reception, also held in honour of His Majesty the King’s 86th birthday, hosted on the eighth floor of the ZEN Shopping Mall by leading Thai DJ and model Nattaseat Poonsupmanee. Taking centre stage at the ceremony was the fully-electric Formula E car making its first ever appearance in Asia and introduced with a visually-stunning VDO presentation. Earlier this year, FEH presented the FIA with a preliminary list of eight cities – London, Rome, Los Angeles, Miami, Beijing, Putrajaya, Buenos Aires and Rio de Janeiro – all selected to host races for the inaugural season. 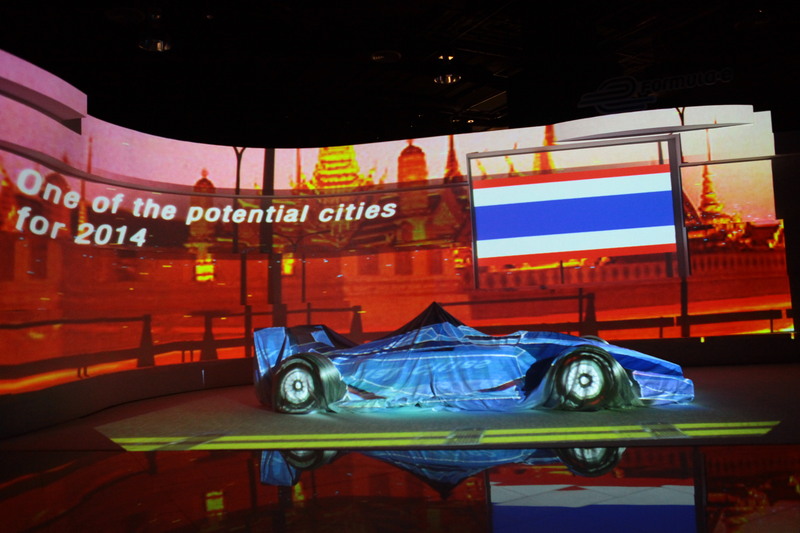 A total of 10 races are scheduled for 2014 with Bangkok adding its name to the list of candidate cities for the remaining two slots. Since launching in August 2012, FEH has received formal letters of interest from 23 cities across five continents with the final calendar being presented to the FIA for its approval at the September 2013 World Motor Sport Council. industry was on the way to becoming one of the top 10 car producers in the world. The government policy is to force Thailand as the ASEAN hub of automotive production and announce a new master plan for the automotive industry from 2012 to 2016, formulating development strategies for sustainable growth of the industry, especially the global trends focusing on clean energy.